Walk-in interview for empanelment & engagement of teachers on part time contractual basis as per KVS service/remuneration norms applicable/amendable from time to time. Qualification: Master’s Degree in concerned subject with at least 50% marks in aggregate & B.Ed, proficiency to teach in Hindi & English medium. Qualification: MCA/BCA or Master Degree with PGDCA from recognized university with 50% marks or minimum “A” level from DOEACC or BE Computer Science. Qualification: Bachelor Degree in concerned subject with at least 50% marks in aggregate & B.Ed with proficiency to teach in English and Hindi medium. Qualification: Degree/Diploma in Computer of duration not less than one year from any recognized university/institute, BCA/PGDCA/BE/B Tech(CS), “A” level from DOEACC. Qualification: Senior Secondary with at least 50% marks & JBT/D.Ed/B.Ed with proficiency to teach in English and Hindi medium. Qualification: Master Degree in Psychology + regular one year PGD in Guidance & Counseling OR MA/M.Sc/M.Com with B.Ed/ M.Ed+ regular one year PGD in Guidance & Counseling. Qualification: Degree/Diploma in any Art work including Music/ Dance or Basic qualification from recognized university/Institute. Qualification: Graduation in any subject or equivalent from a recognized university with one year training in Yoga from a recognized institution. Venue: Kendriya Vidyalaya ONGC, Cinnamara, Jorhat. How to apply: Candidates should bring one set of attested Xerox copies of all documents with originals for verification along with the application form duly filled up in all respects on the day of interview. Note: The appointment will be purely on Part-Time contractual basis. 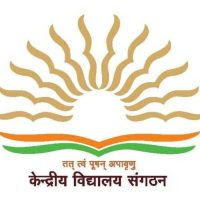 Selected candidates will not be considered as employees of Kendriya Vidyalaya Sangathan.